SMS marketing vs. email marketing: which prevails? There’s no arguing with the facts: over 98% of mobile users will read a business-based SMS communication. But why do users trust a text? And where does this leave email marketing? Research from The State of SMS found that not only will 98% of users open an SMS message by the end of the day, but 90% will open it within 3 minutes of receiving. 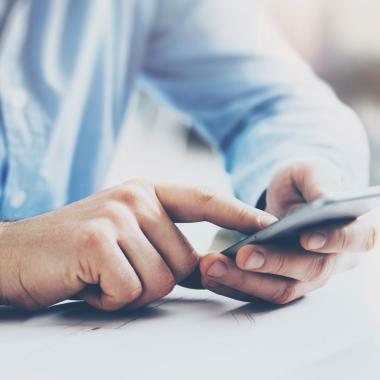 And with the number of people opting in to receive SMS from businesses set to rise from 37.2 million to 48.65 million by 2020, it’s widely recognised as the fastest growing marketing channel in the UK. But with SMS making waves, where does email marketing sit in all of this? Can it compete? Or is this the slow demise of all electronic mail communications? Email remains a popular channel for businesses, attracted by its low cost. A typical email campaign costs just £4 per 1,000 sent. But it’s the bigger picture that businesses often overlook or are unaware of. The volume of businesses using email is astronomical, making the marketing platform extremely cluttered. Think about your email inbox right now: how many notifications will be glaring at you? As you delve further, no doubt there’ll be emails you immediately delete every time – without even opening. When email inboxes are flooded with the unwanted and the unrequested, it’s easy to see why a well-meaning, perfectly legitimate marketing mail might get lost and ignored. In fact, The State of SMS found that 18% of people receive in excess of 51 emails per week. What’s more, email providers such as Google and Microsoft now provide advanced solutions that automatically segment or hide marketing and communications emails before users even see them. Text messages, however, are not burdened with the challenge of attracting your attention. When you receive a text, your phone lights up and catches your eye – leading to a higher likelihood of an instant pick up. If your phone isn’t within immediate reach, you’ll certainly pick it up by the end of the day. In fact, most phones will continue to remind users that they have received a text message until it’s opened, something that can certainly be used to the advantage of your business. But to discard email marketing could be a giant mistake. Statista recently revealed that 86% of consumers would still like to receive promotional emails from chosen companies every month. So, despite many emails getting instantly deleted by consumers, the irony is that they still want to receive them. Perhaps this is an indicator that consumers are simply becoming more astute with subject lines and can recognise an email that should be read or discarded. What’s the ideal length of a message? SMS messages are shorter and to the point, with consumers seeing the channel as both an information and service channel. With the limit of 160 characters, a business can’t afford to send out unnecessary information, so keep interest with short and sweet copy that links to any required further information whether it’s a survey, attachment, ticket or voucher. SMS marketing also gives you the ability to put offers and information directly into the hands of your customers. If used well this could be an effective marketing strategy and present the opportunity to build customer loyalty. Interaction stats from The State of SMS report that 50% of users said their loyalty to a business increased following an informative text regarding their recent purchases. On the other hand, email marketing offers no real restrictions on content length. However, writing the equivalent of Charles Dickens’ Great Expectations would be a big mistake. Especially when the average human has a shorter attention span than a goldfish. The real beauty of email marketing is the creative license it gives you. You can simply write a plain text email, or create a flamboyant template with bells and whistles. It’s just a matter of getting your email content and imagery right. While SMS marketing provides you with the perimeter to keep your message concise, just because an email gives a business more freedom to add more words, doesn’t mean it should be long. The key here is with the quality of the content. Which offers a better ROI? According to Econsultancy, three-quarters of companies agree that email offers “excellent” to “good” ROI, despite the average open rate standing at around 22%. The Radicati Group also revealed that worldwide email users will top 3 billion by 2020, dwarfing the number of SMS opt-ins. However, it’s worth noting that these are loose figures and doesn’t take into account the limitations of some industries. For instance, the recruitment sector might have a lot more email addresses and mobile numbers than a gambling or casino company. The truth is, while SMS boasts the best average response rate (32%) and has generated a 4,000% ROI for one business, the outcome of a campaign is down to the quality of content, the timing, the offer and the individual sector. Although SMS marketing provides an instant and effective way to reach customers, email isn’t going anywhere soon. We still use email on a daily basis, with businesses still classing it as their first choice of communication when contacting a client or employee. So in retrospect, there really isn’t a winner. They both serve a purpose and come with an array of marketing and communication opportunities. Instead, it might be worth considering merging them together to give your customers a complete experience and maximise the probability of making your marketing campaigns a success. 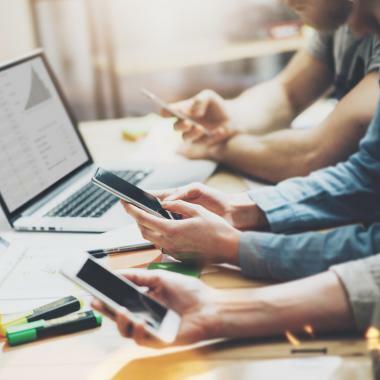 With the rise of the mobile society, people are using their phones as a one-stop shop for apps, emails text messages and beyond. In fact, Hubspot believes that two-thirds of emails are read on either smartphones or tablets, and 48% are opened on a mobile device. While SMS already enjoys a 98% open rate on mobile devices. The future of email marketing is through mobile, which as a marketer or business owner, is great news. By integrating SMS marketing into your email client, you can follow up promotional email campaigns with an SMS to ensure your message isn’t missed. Or you could send an email containing more important details a day before you send a booking reminder via SMS. You won’t have to learn how to use another marketing platform because you’ll be able to send texts directly from your email one. So my question to you is: why rely on one when you can have both? If you’d like to learn more about integrating your email client with SMS, sign up for a free account below and we’ll be in touch to arrange a demo.